Pakistan Cricket Team looks totally different when they put on that green kit. They bounced back in style in the first ODI after being thrashed by the home side in the Test series by 3-0. Pakistan won the last ODI by five wickets while chasing the score of 267 runs. They got the start they were looking for in the opening match and would be hoping to build on from this momentum. They are currently leading the five-match ODI series by 1-0 heading into this contest. South Africa failed to cash-in during the later part of the innings as they could only manage to put up 266 runs on the board. They needed someone to score quick runs in the slog overs as they had ample of wickets left. It was a disappointment that they couldn’t touch the 300-run mark with 8 wickets in hand. Hashim Amla scored an unbeaten ton which was a slow and sluggish innings from the great batsman. Sarfraz Ahmed also needs to be given some credit for his bowling changes and field placement which made sure that the Proteas couldn’t score any easy runs. Imam-ul-Haq missed his century but played his part for sure and provided Pakistan with a flying start. He scored 86 runs before getting out to Duanne Olivier. Mohammad Hafeez played a match-winning knock of 71(63) and made took his side over the line with 5 balls to spare. 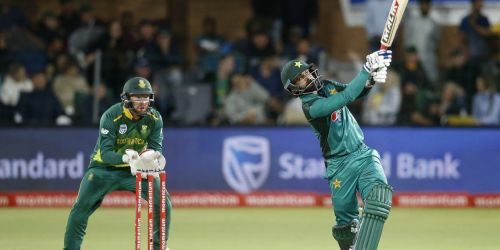 South Africa would be eyeing to level the series in Durban, while Pakistan would be hoping to carry forward their winning momentum. We are in for an epic clash between two heavyweights of 50-Overs cricket.